In a thriving economy, businesses are looking for modern office space that includes environmentally friendly concepts and practices. 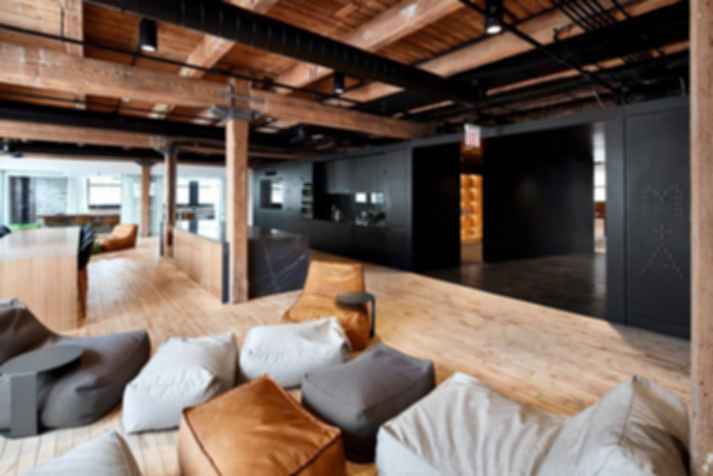 Not only do business leaders want space that is multi-functional and flexible, but space that is energy efficient and leaves a small carbon footprint on the world. The size of the United States' green building market is $81 billion. The number of project certifications for green office space is on an upward trajectory. Focusing on green practices may even attract customers who prefer to do business with companies that are eco-friendly. There are many benefits to greener office spaces, and this results in a trend that sets the tone for sustainable design and practices. One of the most obvious benefits of green buildings is lowering energy costs. Although companies may initially invest in solar panels, wind turbines or adding additional natural lighting, the energy saving potential adds up for years to come. There are some basic sustainable development goals all companies should meet. Commercial buildings in America give off around 38 percent of carbon dioxide emissions and use 39 percent of the energy in the country. Creating sustainable buildings saves on energy costs, which can be a big part of the average company's budget. Even small changes, such as replacing lights with LED bulbs and turning off lights when the building isn't in use can add up to big savings. Green doesn't always have to mean alternative energy sources either. Creating a healthier space for employees involves improving the air quality by bringing in plants, natural sunlight and fresh air. Stress is one of the biggest workplace negatives that impact overall employee health. There are also better ways to keep pollutants out of the building in the first place. Having a garden rooftop allows employees a place to escape from the stress of work and lower blood pressure. Certain types of plants clean the air and make it healthier for every worker. Opening windows occasionally and airing out the building keeps sickness at bay and allows the company to turn off cooling units and save a bit on electricity usage on mild days as well. 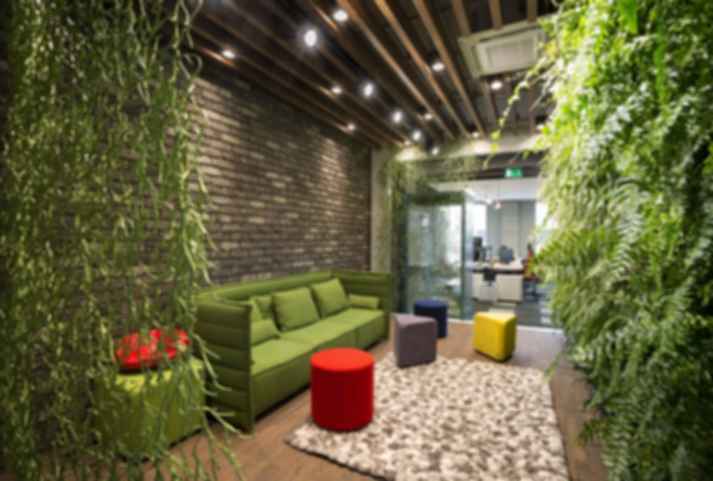 Green office designs increase worker productivity. One study found that design impacts worker well-being and productivity. When workers labored in green-certified buildings, they had a 26 percent increase in cognition and 30 percent fewer sick days. One of the biggest desires of workers is more natural light in office buildings. Simply adding human touches that are also green, such as adding real plants, boost productivity and worker satisfaction. One report revealed that 86 percent of consumers expect companies to take a stand on environmental issues and work to make the world a better place. Not only do green-focused companies gain more business, they gain more employees - 95% of Gen Z reports valuing sustainability efforts in decisions about where to work. No matter your industry, you likely have competitors to contend with. Any small thing you can do to gain an edge over competitors is a positive. Adopting green practices may help you gain a few additional customers or motivated employees. Then, not only will you be helping the environment and being a positive influence in your community, but your company will benefit from the investment in sustainable practices. There is another aspect of green design you should look at - using sustainable materials in the building process. This works in a number of ways. For example, you can use only green materials that were sourced and manufactured in an environmentally friendly way, or you can reuse materials by repurposing old barn wood, floors out of demolished buildings, etc. The upfront investment in materials to create a green building may be out of reach for very small companies. However, companies can make many small changes in policy that will make their practices greener and have at least a small impact. For example, they can turn the thermostat down a couple of degrees, install bathroom lights that only turn on with movement and recycle paper, plastic and aluminum cans.